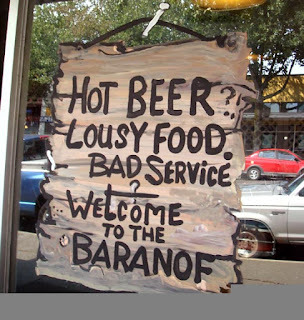 I believe the Baranof was, and may still be, the ultimate Seattle dive bar. 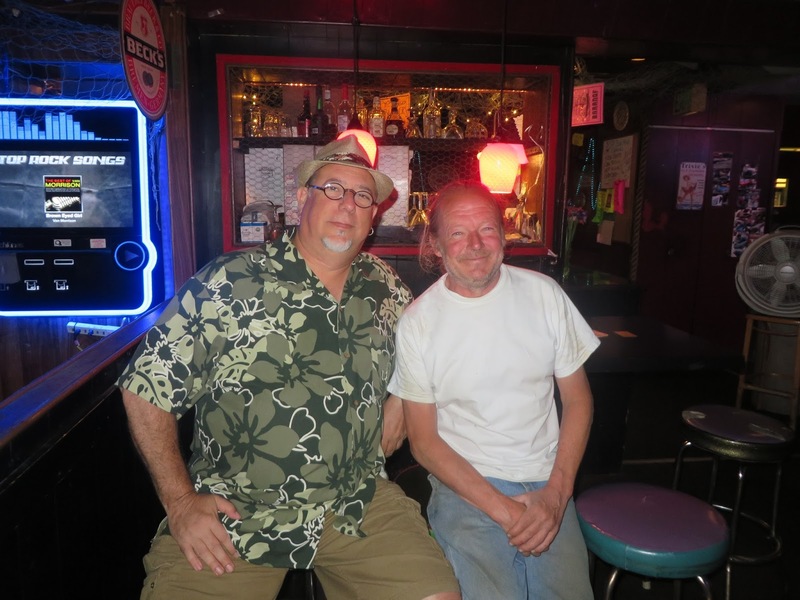 I told a friend that he must go there, noting the "bands" that seemed like Saturday Night Live skits (now replaced by karaoke) and the elderly woman I met at the bar, chain smoking and drinking after coming straight there from chemotherapy. My friend ordered a White Russian, which was made with packaged dried coffee creamer. The delightful couple behind us put on a little two-person play, with Act I highlighted by "I'm not going home with you, I know your wife! 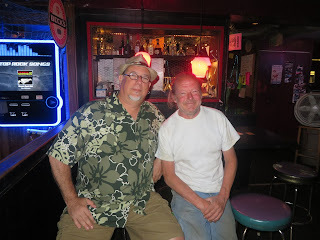 "; Act II centering around the male's spectacular falling off his stool; and Act III concluding with the two staggering out together with the woman slurring, "Are you sure you're okay to drive?" Disturbing? Sure. But you don't get that kind of entertainment value at Black Bottle or Purple. The history of the Baranof is evident in the produce section of grocery stores around town and around the country, as it is the origin of Marie's Salad Dressings. 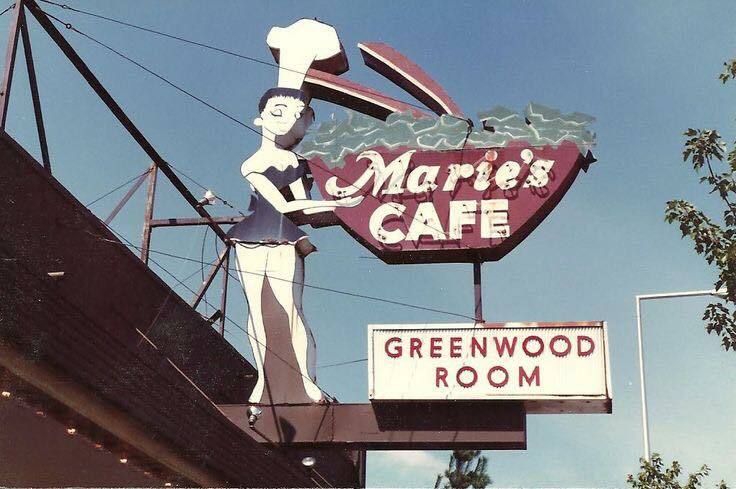 Marie's Cafe operated at this location from 1940 or possibly a little earlier, until 1982. It's possible this was in a different building as county tax records indicate that the current building was constructed in 1942 and Marie's is listed here by the 1940 Polk Guide. For most of that time if not all of it, the bar in the back of the restaurant was called the Greenwood Room. At some point owner Marie Nordquist hired Harold Smith as a cook, and Smith's blue cheese salad dressing recipe became so popular that they began bottling it, with revenues eventually greatly exceeding those of the bar itself. 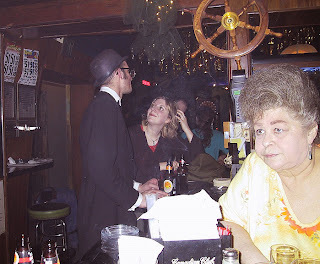 In the late 50s Smith bought out Nordquist and expanded the salad dressing side, eventually selling both the dressing business and the cafe/bar. 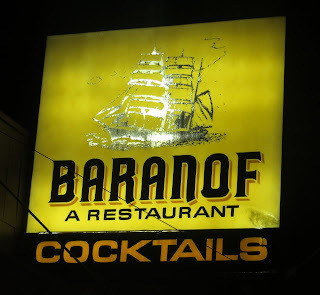 The change to the Baranof name and the nautical theme appears to have taken place in 1982 (or very close to that year). 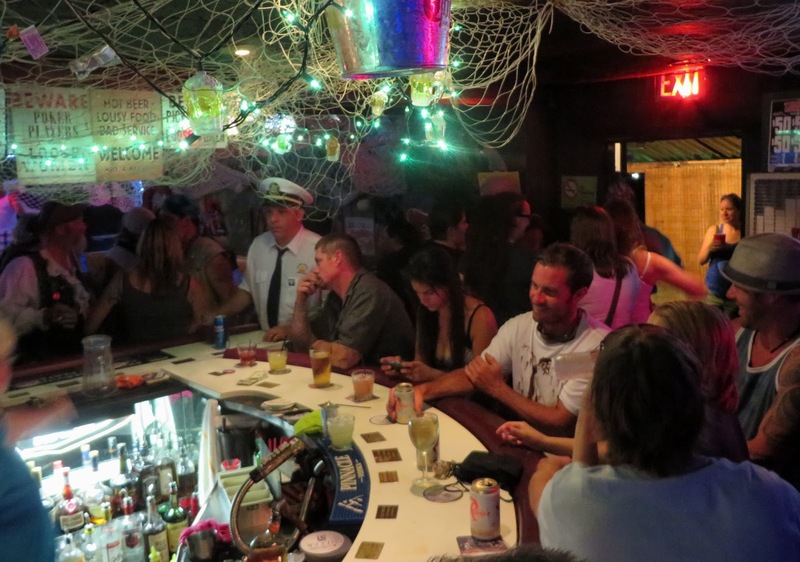 Today, the Baranof bartenders are diverse in gender and age, whereas several years ago they seemed to be exclusively elederly women (I once heard a patron explaining to one what goes in a Martini). Since replacing the Bill Murray style cover acts with karaoke, the Baranof is much more populated by younger people and hipsters, which may compromise the pure diveyness, but add a different element of fun. 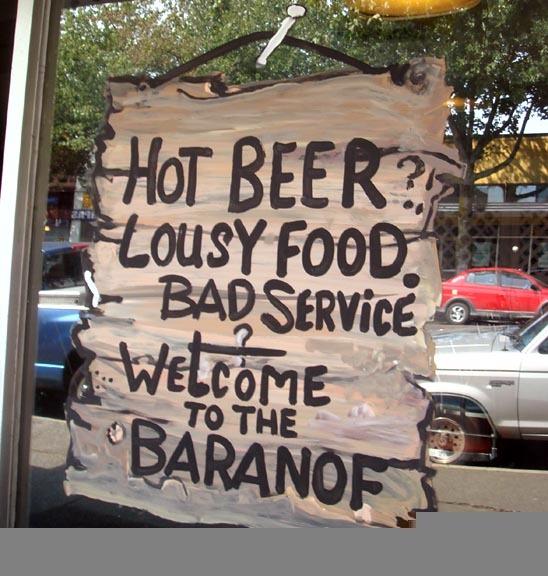 The Baranof remains a classic old school diner in front, and one of the city's best dive bars, as well as one of its more popular karaoke destinations. 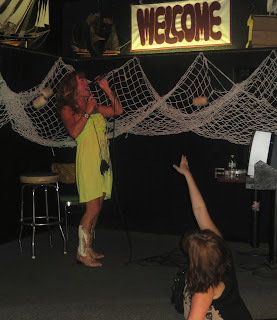 (starting when it was still Marie's).